One hundred and sixty years ago today, 27th July, the Victorian gentleman writer, George Borrow, set off with his wife and daughter to travel around Wales. 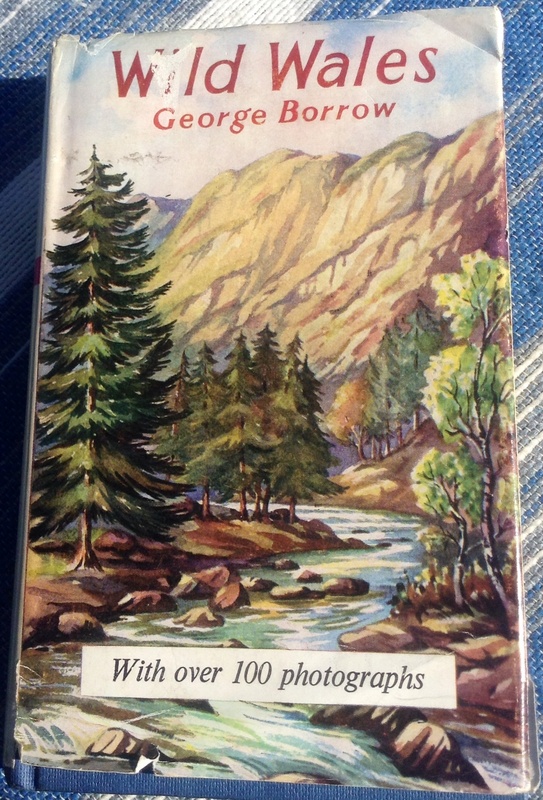 ‘Wild Wales’ the travelogue he wrote about his journey, has a wonderfully intimate and chatty style which starts at chapter one. It’s a classic and I found a copy in its great 1950’s paper cover, in Wells market. There is much to learn about voice in George Borrow’s writing. His strong preferences come across from the beginning and he is charmingly manipulative with his wife and daughter. (Yes somewhat sexist, but you have to forgive him because he is a man of his times). Here’s the first paragraph from Chapter One. It’s a good opening. I think it’s always worth trying out a modern day version of a classic/ You might include details or sentence structures you don’t normally use. Oh that was fun. I should carry on with that if only for the energy, copying an opening creates. And I might go to Wales, inspired by George Borrow. Next Next post: My 4* Review of ‘My Dear, I Wanted To Tell You’ and ‘The Heroes’ Welcome’, by Louisa Young.